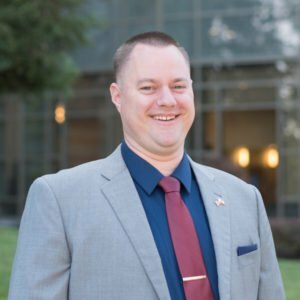 Jason T. Oleson - Certified Law Clerk - Moran Law Firm - Fresno Ca. Jason graduated from Fresno State with a B.S. in Criminology. He is presently a third-year law student at San Joaquin College of Law, where he serves on the Delta Theta Phi Board of Directors. Jason won Best Written Brief at the 2016 George Hopper Moot Court Competition, and was also a semi-finalist in the oral competition. As a law student, Jason feels strongly about volunteering his time in the legal community, he has assisted with the CCLS Senior Law Day; helped individuals at CCLS with their Immigration applications; and served as a judge at the 2017 Fresno State Western National Mock Trial competition. Prior to joining the Moran team, Jason completed an internship at WestCare, where he was exposed to the clinical aspects of the addiction and the recovery process. Jason’s internship has provided to be very beneficial to his current role, because many of our clients have entered treatment programs, and his perspective and knowledge have provided to be of great benefit. Jason also volunteered at the California Justice League, where he was first introduced to criminal defense law. In May of 2017, Jason joined the Moran Law Firm, and is now a Law Clerk. As a Clerk, Jason writes his own legal motions, with the oversight of his supervising attorney. Jason’s exceptional research and writing skills have been utilized in Special Circumstances Homicide cases, and in a highly complex death penalty case. Jason has quickly become an integral member of the Moran Law Firm, because he has a demonstrated a passion and commitment to providing our clients with the very best defense possible. Moran Law Firm stands apart from most firms because when you hire us, you hire an entire team of people who are dedicated to fighting your case. Jason Oleson takes great pride in his role as a Law Clerk, and as a member of our defense team. He approaches each case with intense scrutiny, and works to lay the foundation to a great defense against the injustice that our clients are facing. Jason not only works on our criminal cases, but he also works on our post-conviction writs and appeals. Jason authored an emergency Writ of Mandamus with the Fifth District Court of Appeal, and serves as our senior post-conviction Law Clerk.